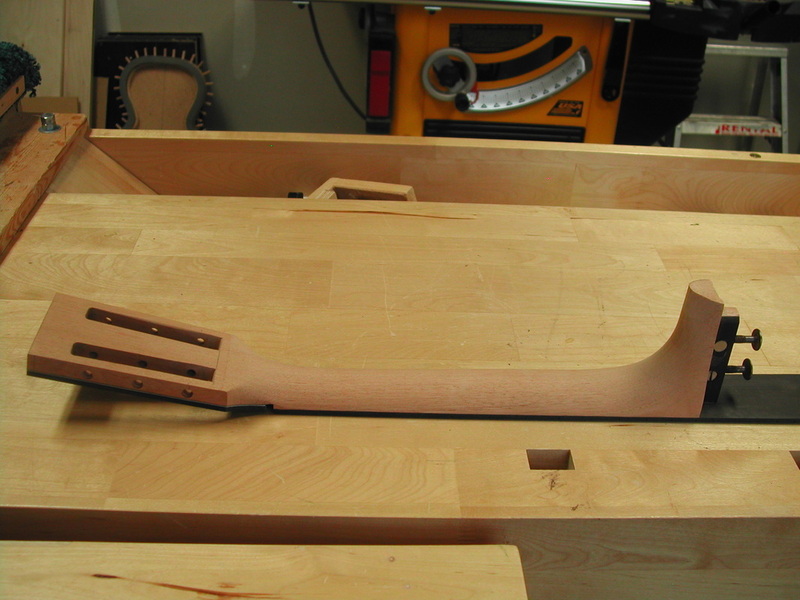 I am building a GL-OO model for my son, Timothy. 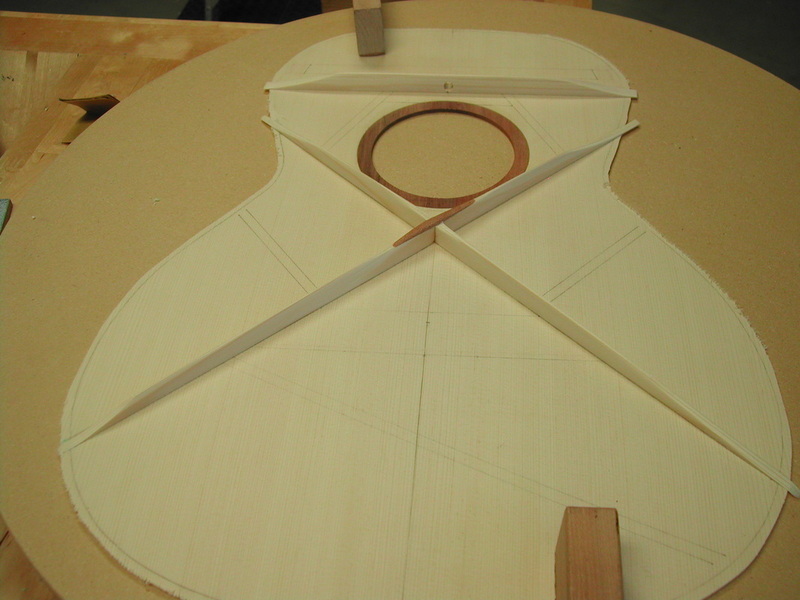 This guitar will be 12 fret to the body, 24.5" scale, slot head steel string. 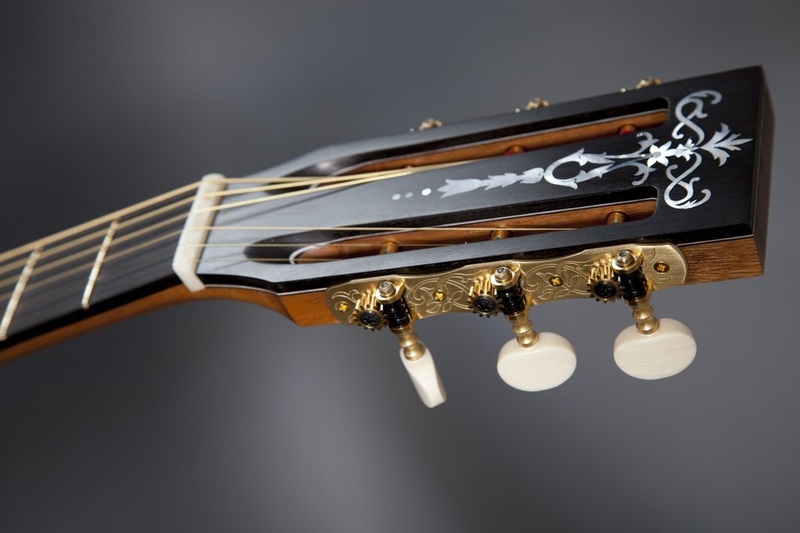 These smaller guitars have worked very well for fingerpicking but also do well with a pick. 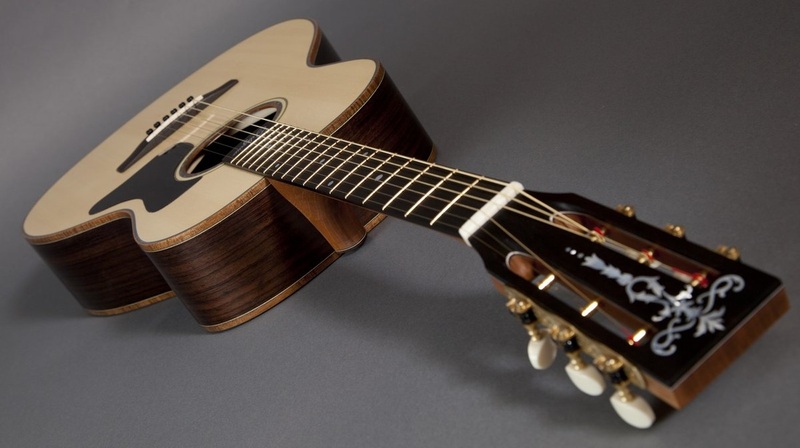 Getting good volume and projection from a small guitar is sometimes a little difficult but this model seems to solve those problems. 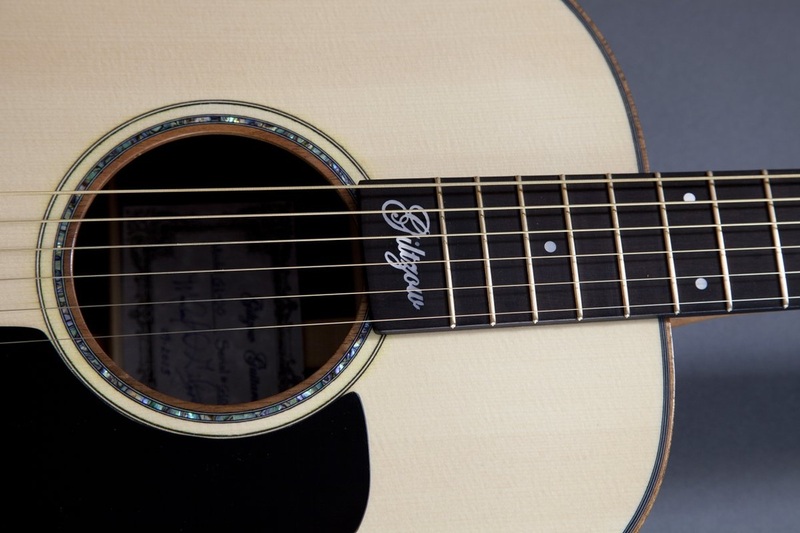 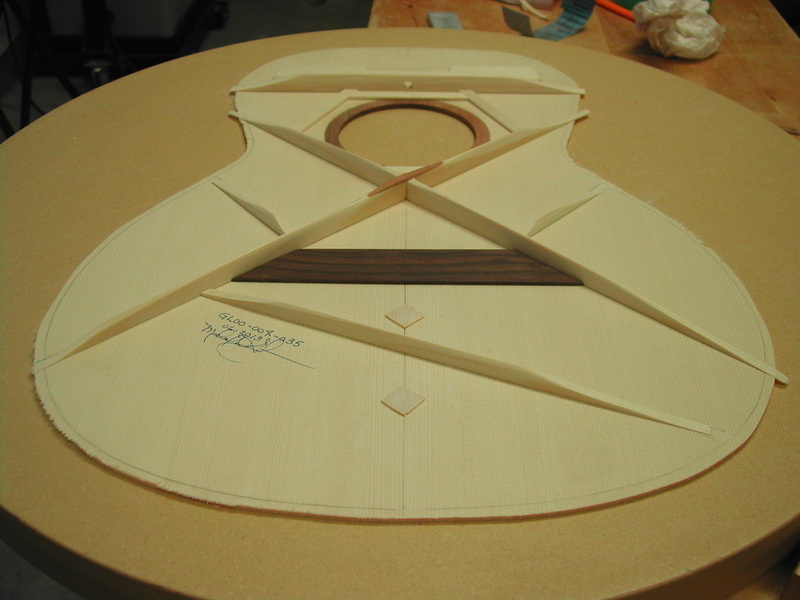 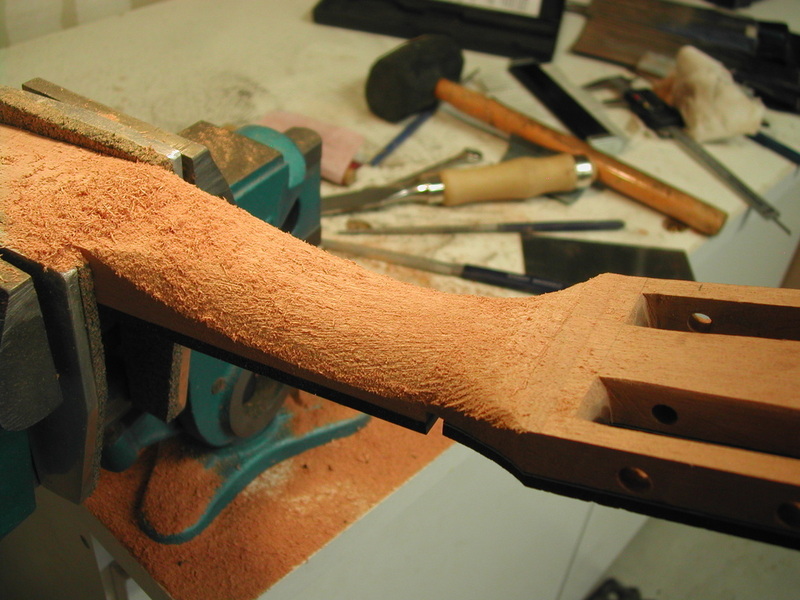 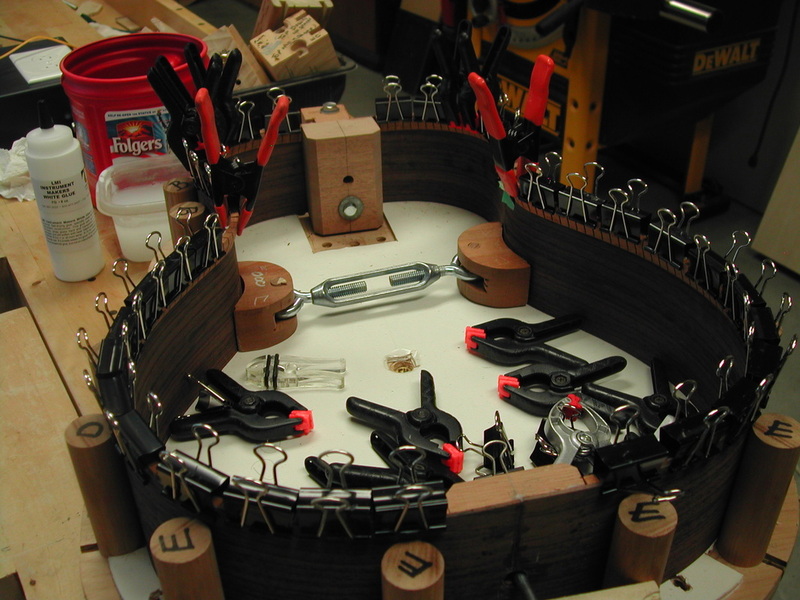 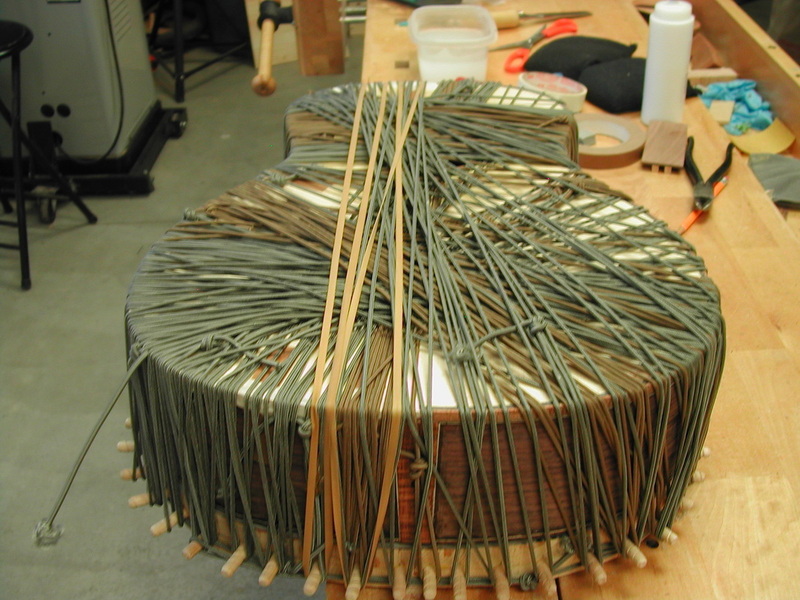 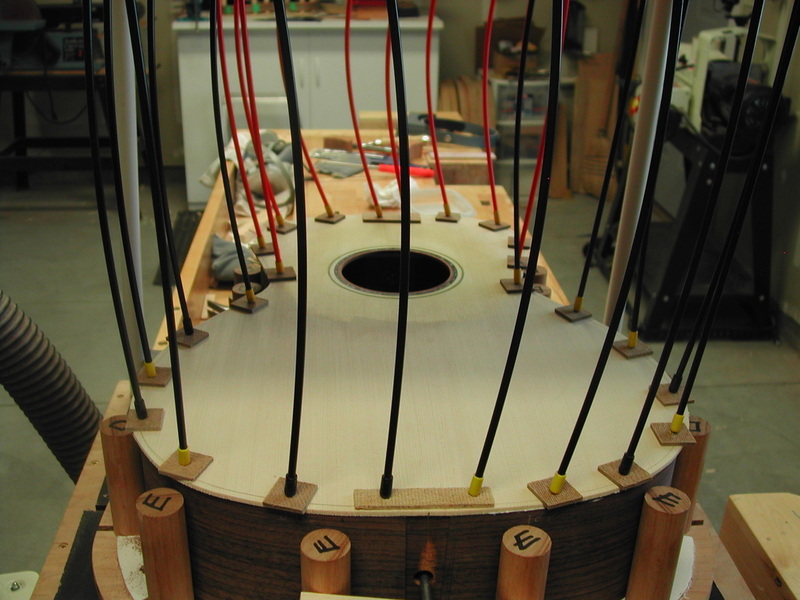 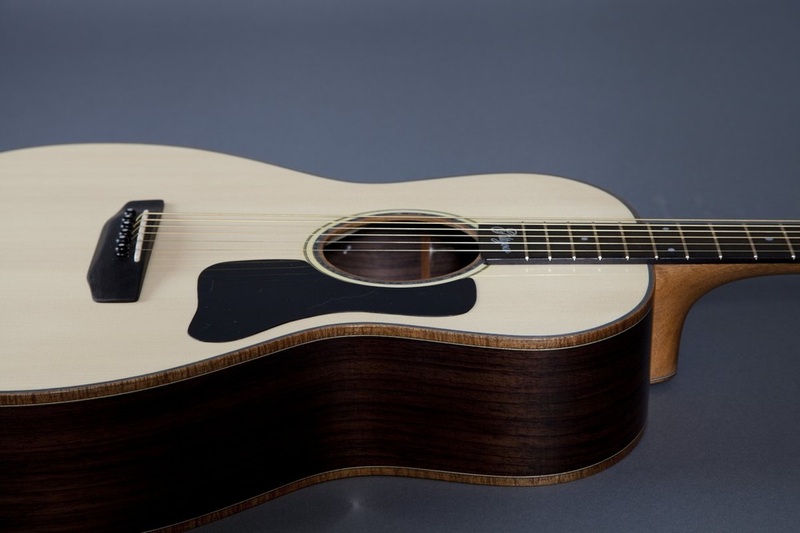 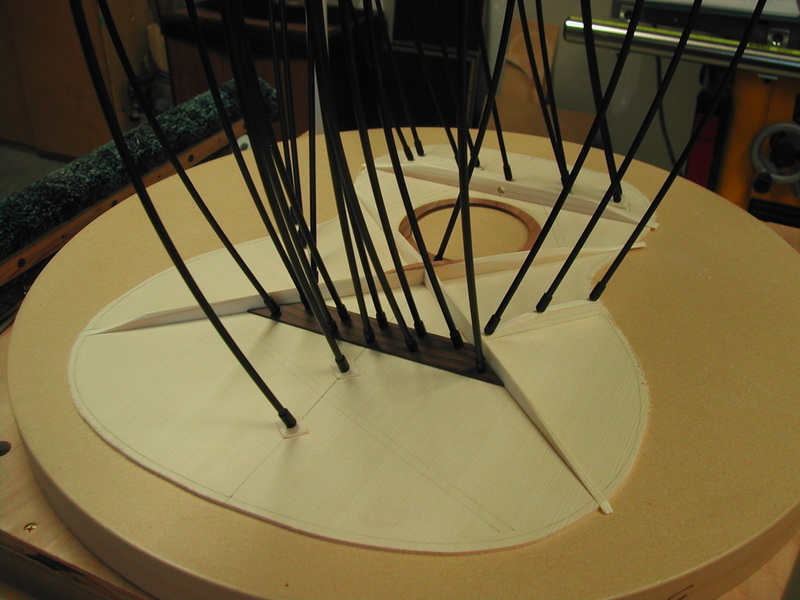 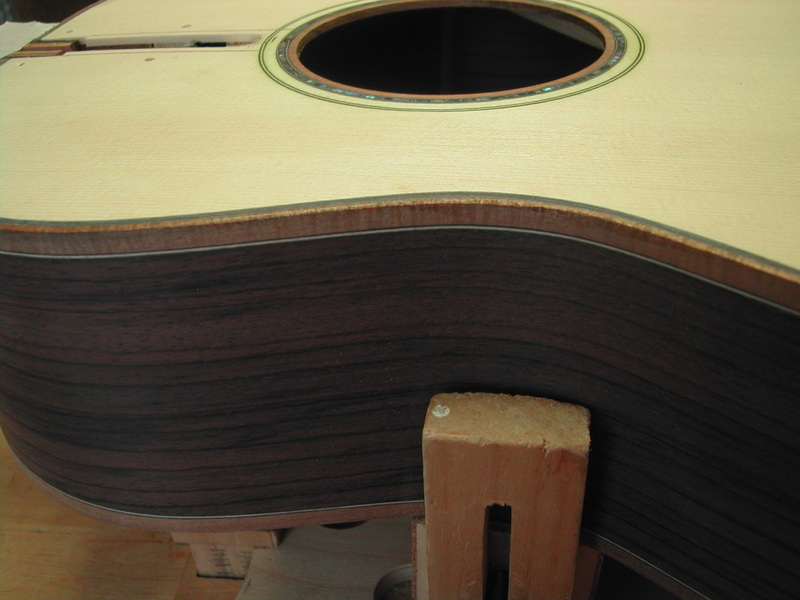 The guitar will be fitted with an L R Baggs LB-6 pickup allowing it to be connected to an amp. 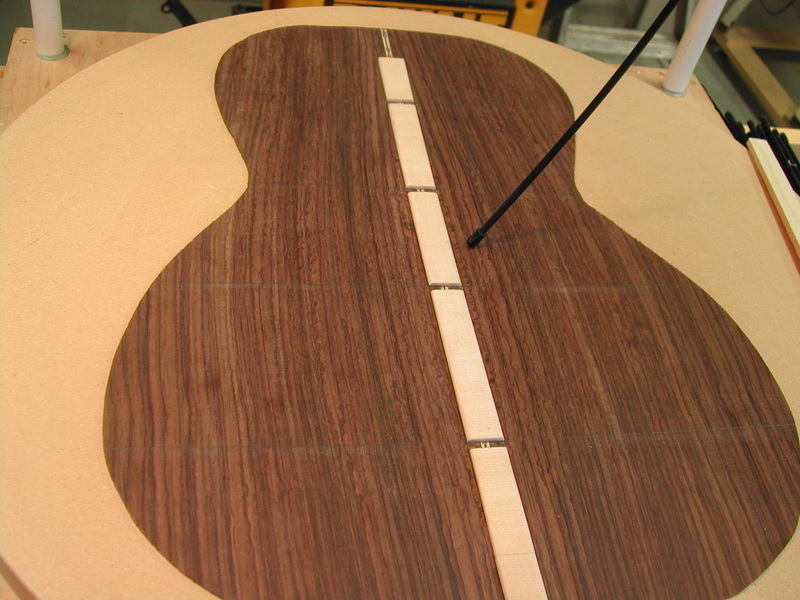 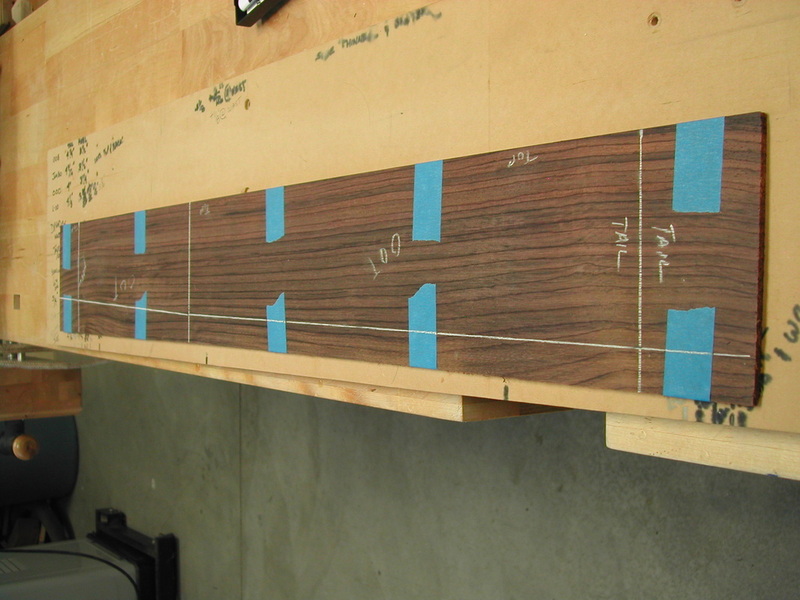 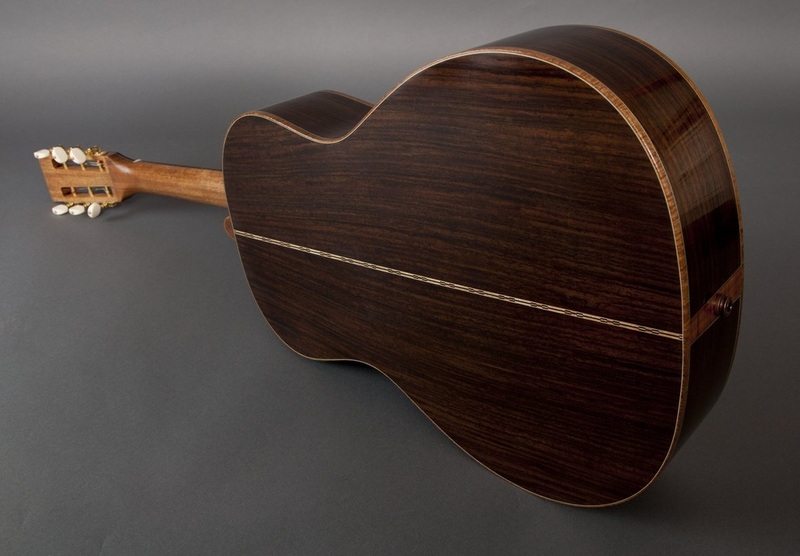 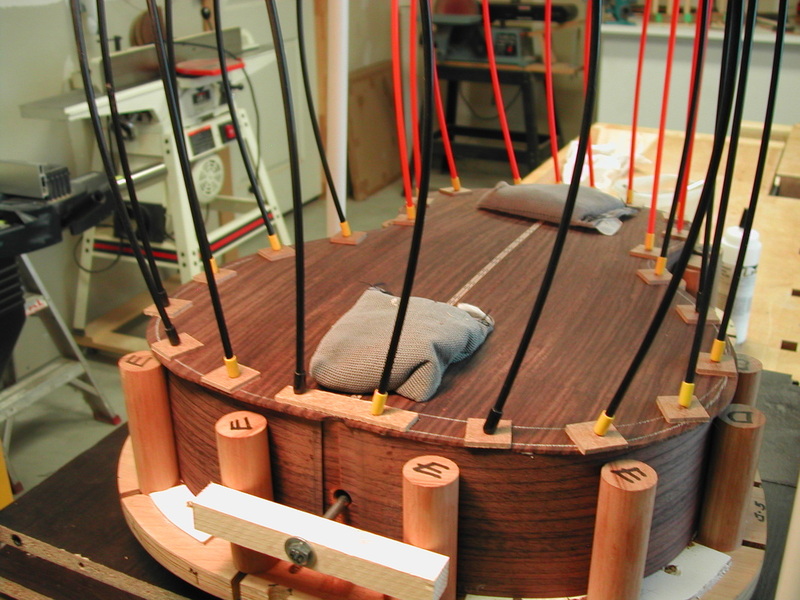 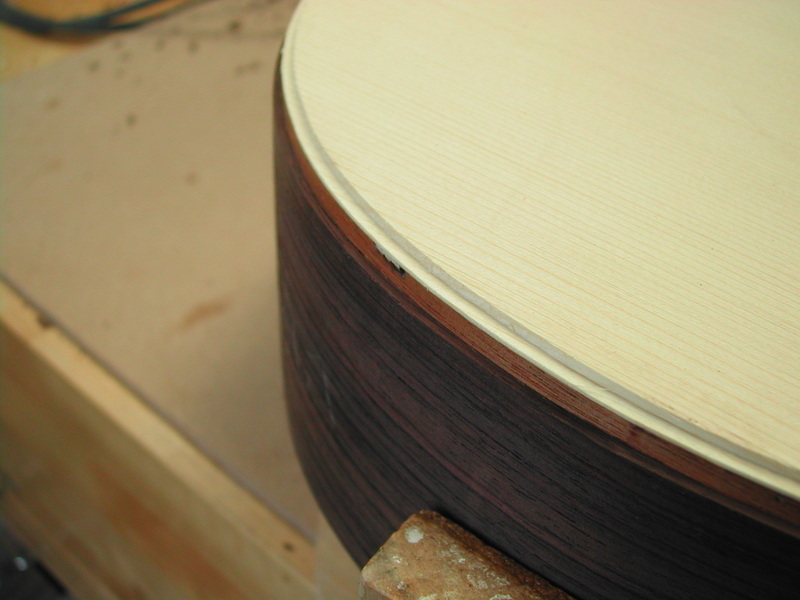 The back and sides will be East Indian Rosewood and the sound board will be a beautiful piece of German Spruce. 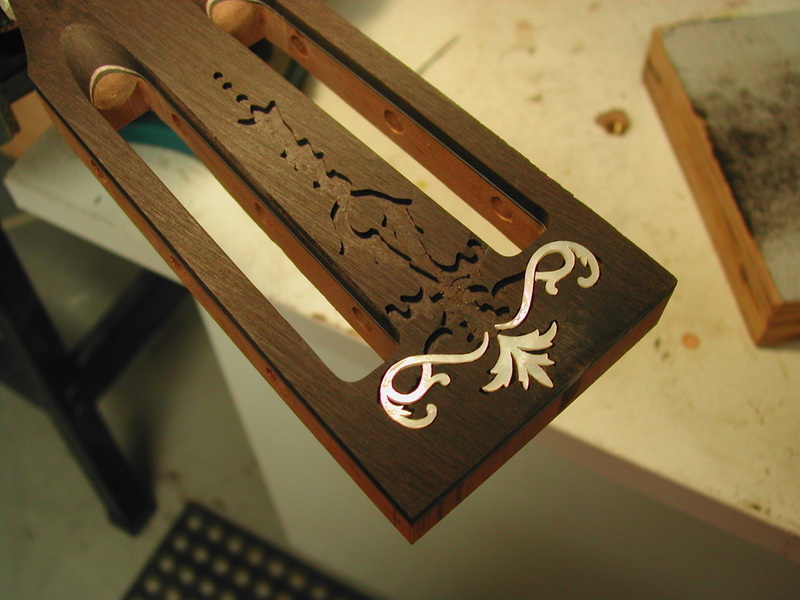 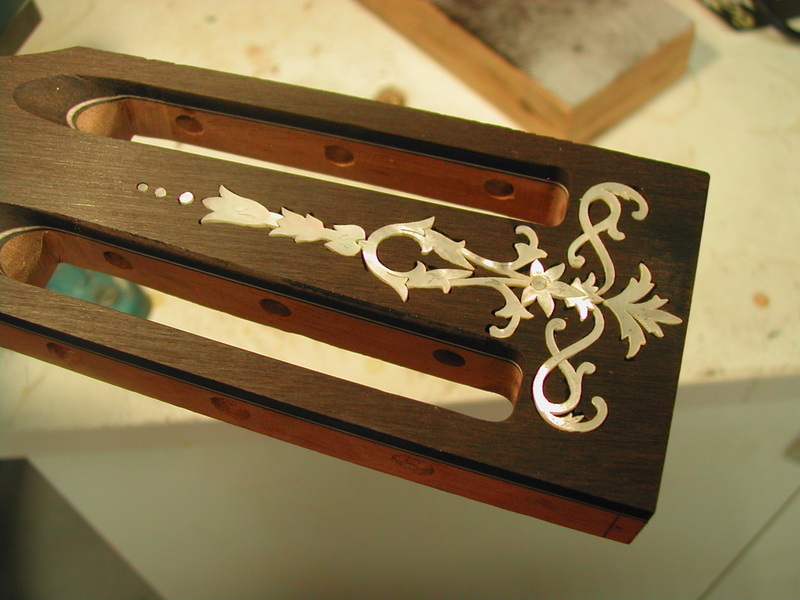 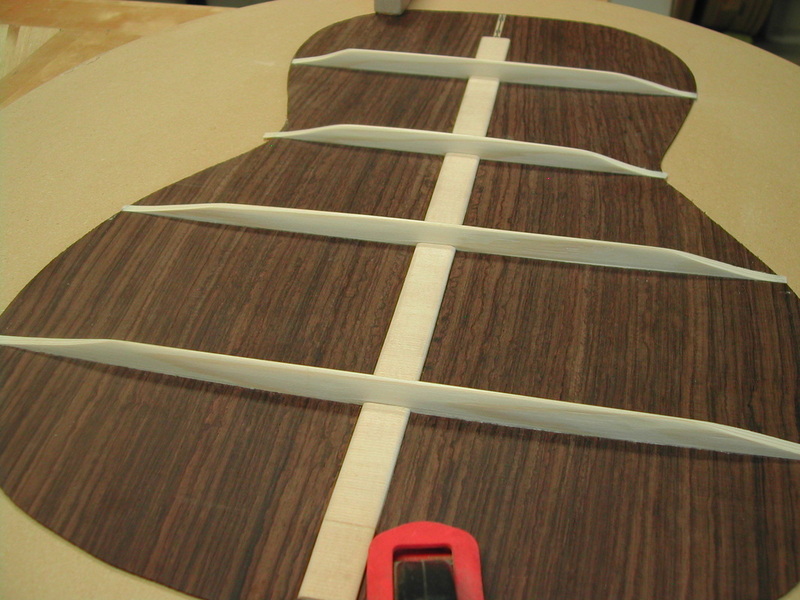 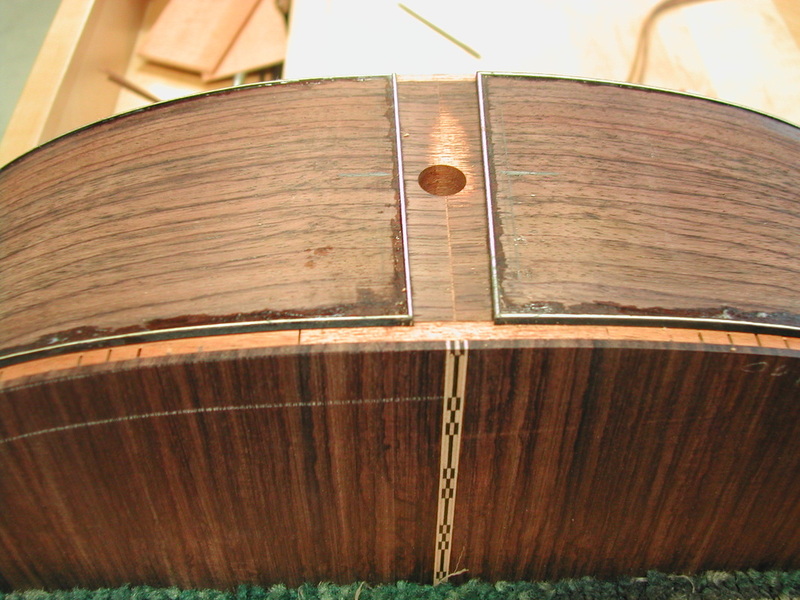 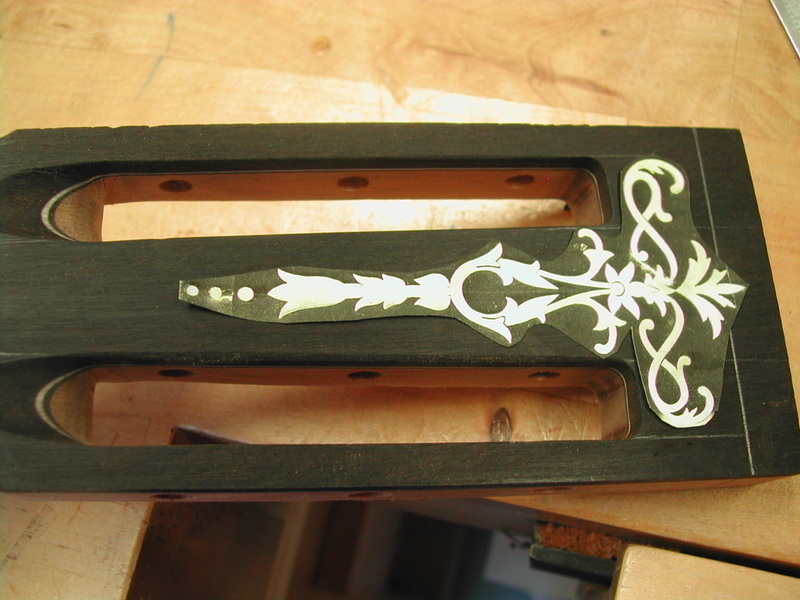 Fretboard and bridge will be Gabon Ebony and the bindings and trim will be Curly Australian Blackwood.